The Agave Harvest and Tasting is an annual event sponsored by the Malki Museum. It is held on two consecutive Saturdays in mid- to late-April, when the Agave plants were traditionally gathered. The agave or amul was a basic food staple for indigenous people of Southern California. Reservations Recommended: Please call (951) 849 7289. To learn more, visit the Kumeyaay Garden web page. This entry was posted in Kumeyaay Corner on April 1, 2019 by admin. This article from the Women’s Museum of California, talks about the legacy of Two Spirits within Kumeyaay, also known as Tipai-Ipai or Diegueño culture and provides a brief overview of Kumeyaay history and how differents bands of the Kumeyaay nation are addressing ideas of gender fluidity. This entry was posted in Kumeyaay Corner on February 28, 2019 by admin. 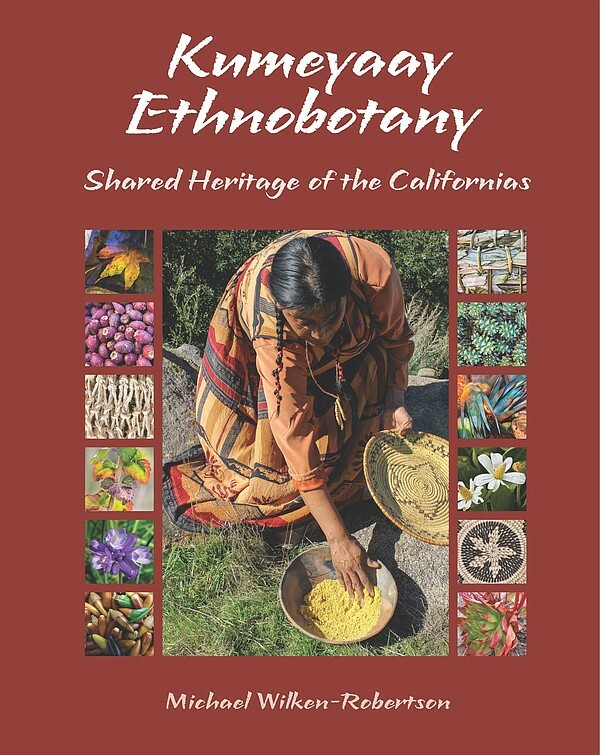 The interview features Michael Wilken-Robertson, Anthropologist and Professor at Cal-State University San Marcos talking about his book, Kumeyaay Ethnobotany: Shared Heritage of the Californias. Listen to the interview with Wilken-Robertson from January 2018 on KPBS Midday Edition in MP3 format. If this doesn’t work for you, visit the KPBS website. Kumeyaay Ethnobotany: Shared Heritage of the Californias. This entry was posted in Kumeyaay Corner on December 31, 2018 by admin. Rose Creek is in the traditional lands of the Kumeyaay. The Kumeyaay are a living cultural group here in San Diego and in the northern part of Baja California, Mexico. Every month, the Friends of Rose Creek tries to bring you a tidbit of information on Kumeyaay culture, news, or current events. Enjoy this great program about Kumeyaay culture and the Nation-State border that has divided the people. Watch How the Creation of Borders Changed Kumeyaay Life on KCET. KCET plays a vital role in the cultural and educational enrichment of Southern and Central California. In addition to broadcasting the finest programs from around the world, KCET produces and distributes award-winning local programs that explore the people, places and topics that are relevant to our region. This entry was posted in Kumeyaay Corner on September 28, 2018 by admin. Approximately 1,000 years ago, a Native American people called the Kumeyaay lived throughout what is now San Diego County and Baja California. During that time, the Pauwai Valley was occupied by hundreds of Kumeyaay-Ipai living off the land. The Ipai were a linguistic division of the Kumeyaay living in the northern part of what is now San Diego County. The Kumeyaay were still in Poway until the early 1900s. The evidence of their lives and work can be seen today at the Kumeyaay-Ipai Interpretive Center, founded by a partnership with the Friends of the Kumeyaay, the San Pasqual Band of Indians, and the City of Poway. 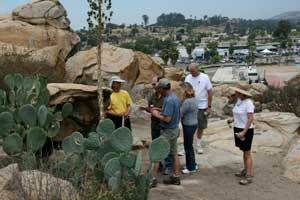 Tour of Interpretive Center from Friends of The Kumeyayy website. Visit the Kumeyaay-Ipai interpretive Center on the second and fourth Saturday of the month from 10 am – 1 pm. 13104 Ipai Waaypuk Trail (formerly called Silver Lake Drive), Poway, California 92064. Learn more at the Friends of The Kumeyaay website. This entry was posted in Kumeyaay Corner on July 30, 2018 by admin. The Kumeyaay are the people who were living in this region when the Spanish arrived. For hundreds of years, their culture was under attack but times are changing. Cuyamaca College and the Tribes of San Diego sponsor Kumeyaay Community College in El Cajon with information on Kumeyaay history, language and culture. Classes are open to anyone and can be used a college level credit at Cuyamaca Community College and potentially other community colleges. Kumeyaay Community College is dedicated to creating a program of superior education and academic training through Native people’s worldview with an emphasis on the Kumeyaay perspective. Study ethnobotany and ethnoecology, gain an understanding about the landscape and plants of the area, and/or learn about Kumeyaay history, language, arts and culture. To learn more, visit the Kumeyaay Community College website. This entry was posted in Kumeyaay Corner on March 18, 2018 by admin. The Southern California Tribal Chairmen’s Association publishes the monthly TANF Newsletter with articles of interest to the First Nations of Southern California. The newsletter features historical information, cultural goings on, as well as a calendar of events. For those of us whose ancestors did not live along Rose Creek, taking the time to understand the people whose ancestors hunted antelope and fished along Rose Creek is important. Read the entire March newsletter online. This entry was posted in Kumeyaay Corner on February 28, 2018 by admin.